Home >> Archive by category "blog"
Photo Caption: Attorneys and asylum seekers at a port of entry. March 22, 2019 – Today, a federal court will decide if our country’s humanitarian laws can put an end to the Trump Administration’s latest attack on asylum seekers at the border. We are challenging the unlawful and dangerous “Remain in Mexico” policy, which forcibly returns asylum seekers to Mexico while their cases are adjudicated in immigration court. Our team has been at the border identifying and interviewing individuals affected by the policy. The people we spoke with expressed bewilderment and dread over the prospect of remaining in Tijuana, where migrants routinely face abuse and violence. We will be in court today because asylum is a right. Because due process is a cornerstone of our Constitution. And because we strive to create a country where humanity rises above fear. To support our work at the border, make a gift. 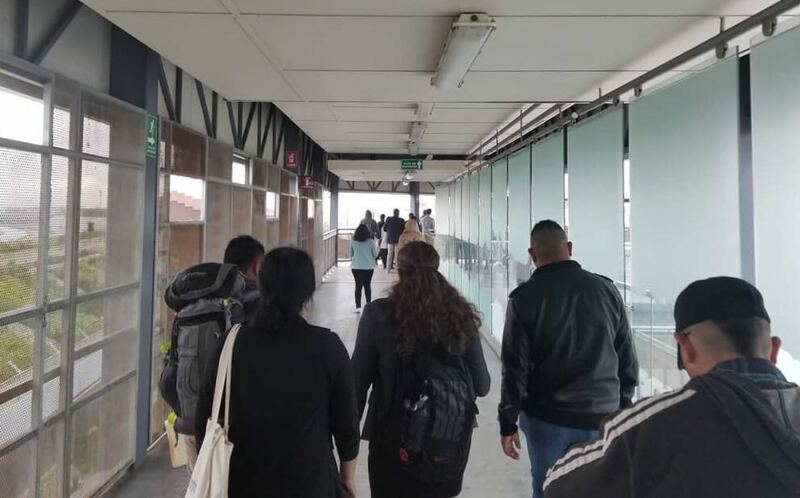 February 21, 2019 – Late last night, Innovation Law Lab and other groups asked a federal court to immediately halt the return of asylum-seeking migrants to Mexico. A hearing is expected soon. The filing is the latest in the lawsuit, Innovation Law Lab v. Nielsen, which challenges the legality of the Trump Administration’s forced return practiced, the so-called “Migrant Protection Protocols,” which forcibly returns asylum seekers to Mexico where they are at great risk of harm. The filing also comes on the heels of the expansion of the policy to include not only adult asylum seekers, but families with children. On February 13, a family was returned with a one-year-old child. Innovation Law Lab is represented by the American Civil Liberties Union (ACLU), the Southern Poverty Law Center (SPLC) and the Center for Gender and Refugee Studies (CGRS). Plaintiffs in the suit include Innovation Law Lab, Central American Resource Center of Northern California, Centro Legal de la Raza, Immigration and Deportation Defense Clinic at the University of San Francisco School of Law, Al Otro Lado, Tahirih Justice Center, and 11 asylum seekers affected by the policy in question. February 14, 2019 – Innovation Law Lab is at the center of a lawsuit challenging the federal government’s controversial and dangerous new policy of sending asylum-seeking migrants back across the southern border while they await the conclusion of their cases in United States immigration court. “This new policy severely undermines the very purpose of our asylum system, endangering rather than safeguarding the lives of our individual plaintiffs and others fleeing persecution,” said Blaine Bookey, co-legal director of the Center for Gender & Refugee Studies. Innovation Law Lab uses data, design, and the law to support asylum seekers and provide technological and strategic support to attorneys around the country. Technology developed by Innovation Law Lab is at the core of several large-scale pro bono projects throughout the country, and is increasingly being deployed at the border. The lawsuit cites violations of the Immigration and Nationality Act, the Administrative Procedures Act, as well as the United States’ duty under international human rights law not to return people to dangerous conditions. Plaintiffs in the suit include Innovation Law Lab, Central American Resource Center of Northern California, Centro Legal de la Raza, Immigration and Deportation Defense Clinic at the University of San Francisco School of Law, Al Otro Lado, Tahirih Justice Center, and eleven asylum seekers affected by the policy in question. Plaintiffs are represented by the American Civil Liberties Union (ACLU), the Southern Poverty Law Center (SPLC) and the Center for Gender and Refugee Studies (CGRS). To read the complaint filed, click here. 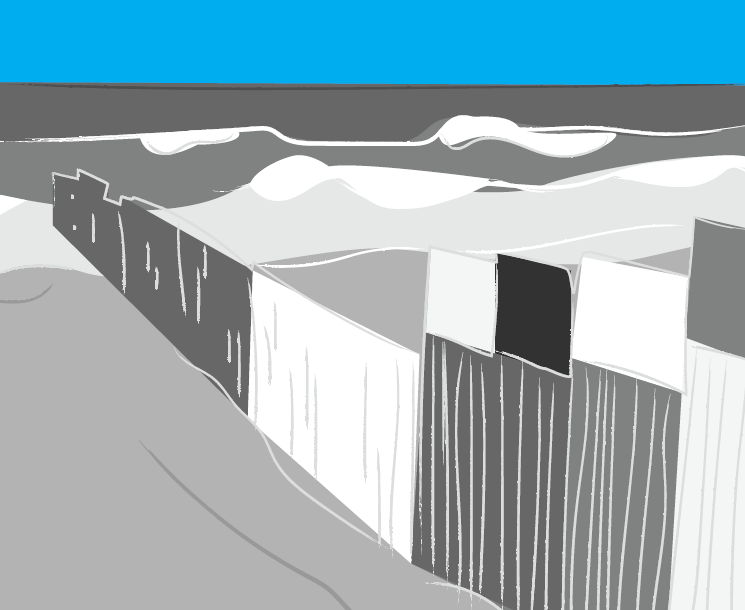 When Andrea*, a queer asylum seeker, arrived in the United States and was detained in the notorious Cibola County Detention Center, she wondered if she would ever find a way out. Cibola is notorious for reported human rights abuses, and earlier that year, Roxsana Hernandez, a transgender asylum seeker detained at Cibola, died after neglect and apparent physical abuse. Andrea’s anxiety was compounded by the fact that she did not have any family or friends on the outside who could advocate for her and assist her with her request for release. When considering whether to grant parole or bond, ICE and immigration judges heavily weigh a petitioner’s connections to the U.S. and often require asylum seekers name a “sponsor.” However, for queer asylum seekers, finding a sponsor can be particularly difficult; even if they have family in the U.S., they are not always welcome to stay with them. Concurrently, grassroots groups came together to offer their support in securing release from detention for asylum seekers. The Innovation Law Lab, in partnership with Showing Up for Racial Justice (SURJ), Freedom for Immigrants, Diversidad Sin Fronteras, and the Santa Fe Dreamers Project, formed the Asylum Seeker Sponsorship Program, which connects asylum seekers with volunteer sponsors. The newly-formed program matched Andrea with Amor y Solidaridad, a group willing to sponsor her and offer her a place to stay if she was released from Cibola. With a sponsor secured, pro bono attorneys could move forward with preparing and submitting a request for parole to ICE. 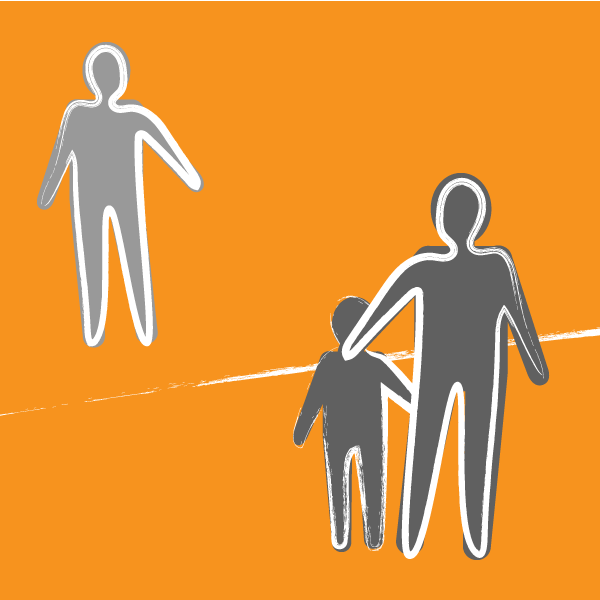 To read more about our work with detained asylum seekers, read our impact report. To find out how you can sponsor or support an asylum seeker, follow this link. November 26 was a milestone in the Trump Administration’s failed experiment to incarcerate over 100 asylum seekers in a federal prison in Oregon. On that day, a judge heard the final asylum claims for the last two men still incarcerated at Sheridan. To recap: in May 2018, the Trump Administration dropped more than 100 men who were seeking asylum into the Sheridan prison. The Trump Administration had already ordered all of the men deported and intended to deport them as quickly as possible and as secretly as possible. The administration prevented anyone detained inside from calling out for help; prevented everyone on the outside from getting in to provide help. The Trump Administration was experimenting with the U.S. Constitution by pretending it did not exist. The Law Lab promised to represent everyone at Sheridan; the Trump Administration protested and so the Law Lab sued. A federal judge ordered the Trump Administration to let the lawyers in. So the lawyers and legal advocates went in. And then what happened is that the law, the U.S. Constitution and all of the rules and rights that matter for liberty and democracy and the rule of law, mattered again. None of the the Trump Administration’s inflammatory rhetoric proved to be true. The Trump Administration’s tweets that demonized these men were plainly false. Once lawyers got access, they were able to prove that each of these individuals were fleeing violence. Indeed, every person incarcerated at Sheridan and represented by the Innovation Law Lab was found to have a bona fide claim for asylum, or, in the words of the law, each individual had a substantially likelihood of winning asylum if only given a chance before a judge. The Trump Administration’s rationale for incarcerating these individuals was largely illusory. The lawyers went to court and in the coming months, 96% of the men would be released on bond. Oregonians rallied together to raise over $22,000, which secured the release of four men whose families and friends did not have the ability to pay their bonds. The way the system of justice is supposed to work is that we resolve disputes in court. Judges are supposed to hear testimony and review evidence. There is supposed to be examination and cross-examination. And then, good people who do, in the words of the Chief Justice of the United States, their level best to get the law and the facts right to make the best decision that can be made. That’s the way it is supposed to work. And what happened on November 26? Exactly that. The Law Lab presented its best cases for its final two detained clients. The government presented its best case. And a judge heard both sides, considered the law and the claims and everything that was at stake. In one case, the judge immediately granted asylum at the conclusion of the hearing. In the other case, the asylum seeker has been transferred to the Northwest Detention Center in Tacoma to await the judge’s decision. It had been 14 months since I had met Oscar, his wife Linda, and their son, Oscar Jr. at a shelter in Tijuana, Mexico. They were planning to come to the United States and ask for asylum together. A shelter volunteer introduced us because I had experience working with families seeking asylum both in and out of detention centers, and could tell them a little bit about what they might expect. I told them Linda and Oscar Jr. would likely be taken to a family detention center for mothers and children, where an asylum officer would conduct a screening interview to assess asylum eligibility. If Linda and Oscar, Jr. passed the preliminary interview, they would be released to live with her sister in Houston, Texas and wait for an appointment with an immigration judge who would decide their case. On other hand, Oscar would be sent to an adult detention center, alone. Oscar would also have to pass a screening interview, but for him passing a screening would not signal the end of detention. He would likely be detained for much longer, for months, possibly a year or longer. I could not promise to help them after they crossed, but I gave them my phone number and told them that I would do my best to be available to help if they called. The family kept in touch, and I soon learned that Linda and Oscar Jr. were sent to a family detention center in Karnes, Texas where an embedded pro bono representation project run by RAICES assisted Linda in preparing for her screening interview. After a few weeks, Linda and her son were released and went to live with family in Texas. Linda would call me to share updates: Oscar was still detained, Oscar Jr. was enrolled in elementary school, and eventually that their first court hearing was scheduled. Linda would sometimes pass the phone to Oscar Jr. who was full of kindergarten pride over learning his colors and numbers in English. Oscar was sent to an adult detention center in Southern California. Spring quickly passed, then summer faded to fall. Oscar missed his son’s sixth birthday. To pass the time, Oscar read the Bible. He worked in the detention center kitchen. He dreamt of getting out and being reunited with his family. I helped him assemble a pro se parole request which he submitted to ICE. ICE’s response: Oscar could leave, but only if he agreed to wear an ankle monitor and pay a $20,000 bond. For detained immigrants in this region, $20,000 is a common bond amount, high enough that it leads many people to give up hope of release altogether. However, Oscar was fortunate to have an ally, Luna, who had visited and gotten to know him in detention. Luna offered to front the money and posted Oscar’s bond. Within a few days, Oscar was released from detention. Luna drove him halfway across the country to Texas where he was reunited with his family. They were connected to the Houston Immigration Legal Services Collaborative (HILSC), an innovative organization founded to fill the gap in immigration representation in Houston. HILSC helped Linda prepare and file a pro se asylum application and then began to help Oscar request work authorization. I kept in touch with Oscar, Linda, and Oscar Jr. Our phone calls began to shift away from their immigration cases to normal, everyday life. Oscar Jr. would call for help with math homework. They told me about the community they had found at a local church, where Oscar began assisting with church renovations, often volunteering from 7 at night to 1 in the morning. When Oscar’s work permit arrived, he was able to secure a job in construction, enabling the family to move to their own apartment. Oscar and Linda even decided to formalize their common law marriage with a church wedding and began making arrangements. Everything seemed to be looking up for Oscar and his family—until Oscar’s ankle monitor battery proved faulty. The battery should have only needed charging once or twice a day, but it was requiring charging dozens of times a day. Oscar reported the problem to the Intensive Supervision of Appearance Program (ISAP), the monitoring program for immigrants released from detention, but the supervisor didn’t do anything. Oscar did his best to keep the battery charged anyway. Whenever the battery died, ICE would call Oscar to assure he was complying with the conditions of his release. Sometimes the battery would die while Oscar was volunteering at the church; the priest would rush him home so he could recharge it. Sometimes the battery would die while Oscar was asleep and he didn’t always hear ICE when they called. On a Friday, he asked ISAP to replace his faulty battery. They said they would look into it. Three days later, I got the call from Oscar. He had gone to the ICE office for a routine check in and was informed that because he had failed to keep his battery charged and answer follow up calls, he was going to be re-detained. Because of a battery malfunction, Oscar was headed back to immigrant detention. Once a person has been found to be in violation of release conditions, regardless of any extenuating circumstances, it is very hard to get them out again. And in detention, asylum hearings are accelerated, meaning, there often is not sufficient time to collect evidence, secure expert witnesses, and prepare clients. My colleague, Ian Philabaum, introduced me to a well-connected Houston local who put me in touch with several advocates. Within a few days, we had truly assembled our dream team with legal advocates from Houston and beyond. Raul Ochoa, Frances Rodriguez, Laura Nally, and Marisa Peterson, each a superstar in their own right, were all eager to pitch in. Once they met Oscar and his family, it was impossible not to want to support them. Legal service providers at Human Rights First, Justice for our Neighbors Houston (JFON Houston), Al Otro Lado, and the YMCA pooled their resources to draft requests and research case questions while local organizations, like the family’s church and LaUnidad11, stepped up to provide assistance to Linda and Oscar Jr. Friends regularly visited him in detention. Court cases inside detention centers move very quickly, and Oscar’s final asylum hearing, called a “merits hearing,” was set less than a month away. I knew plan A was to get Oscar out of detention by submitting a second parole request. However, there was a good chance that the request would be denied, and we needed a plan B. Marisa, a staff attorney at JFON Houston, agreed to work on the asylum case. Marisa explained that she was willing to represent Oscar even though it was such a short timeline for an asylum case because, “I knew Oscar needed a lawyer to represent him if the parole request didn’t work. It’s almost impossible for an unrepresented asylum seeker to win their case, especially if they are detained. In 2017 only 10% of applicants without representation were granted asylum in court, the other 90% were denied.” At this point we had done everything we could for Oscar. We submitted the second parole request, and waited. Less than two weeks before Oscar’s court date, I called the deportation officer assigned to Oscar’s case to ask about the status of the parole request. I expected to be told the request was still under review, or worse, that it had been denied. Instead, I was told Oscar had been released that morning. Oscar’s story shows what a difference legal representation and community support can make. Were it not for the band of advocates that mobilized around Oscar’s case, a family would have been fractured. Oscar could have remained in detention, or worse, been deported to the country his family sacrificed everything to flee. Now he is back in Houston, and Marisa is still working on his case. Oscar and his family are glad to have more time to prepare for his merits hearing, now scheduled farther out. They are grateful to be united once again and have their lives return to a state of normalcy. Just a few weeks ago, they celebrated Linda’s birthday. And soon Oscar and Linda will begin planning their church wedding again, which will surely have a long guest list. To support innovative and collaborative legal efforts, make a gift to the Innovation Law Lab. This post was written by Ariel Prado, Program Manager at Innovation Law Lab, based in Atlanta, Georgia. It was edited by Marisa Peterson, Staff Attorney at Justice for our Neighbors Houston (JFON Houston), and Victoria Bejarano Muirhead, Development Director at Innovation Law Lab. October 1 marked the official launch of Equity Corps, Oregon’s first universal representation program. Portland, Oregon joins several cities nationwide that have invested in pro bono legal representation programs for individuals in removal proceedings. There is no right to a court-appointed attorney in immigration court. Represented immigrants in the Portland Immigration Court are nearly three-and-a-half times more likely to win their cases than their unrepresented counterparts. 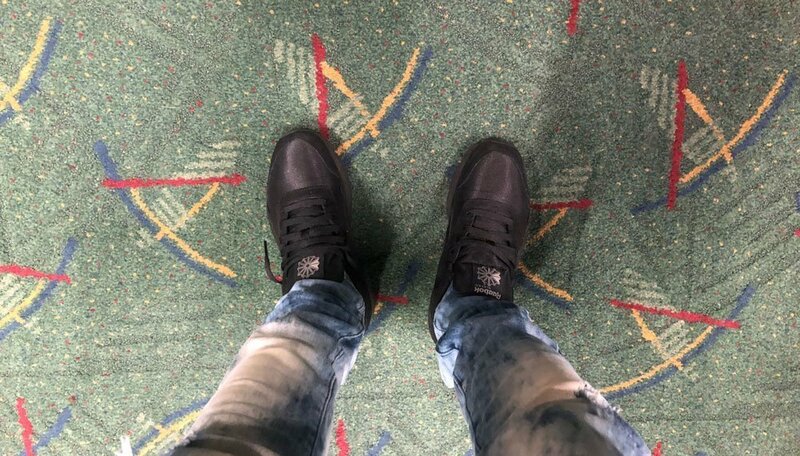 If current rates of representation continue, about 80 percent of unrepresented Oregonians will eventually be ordered deported, many back to potentially dangerous situations. 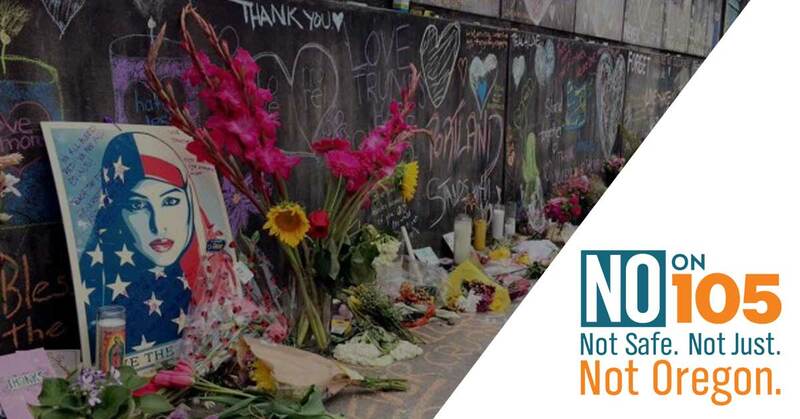 Though Portland is home to several innovative and dedicated nonprofit immigration legal service providers, the demand for pro bono representation has far exceeded existing capacity. Many Portland residents who cannot afford to pay for an attorney have been left without representation, leading to deportations that tear apart Oregon families and communities. The need for increased legal capacity and collaborative solutions was clear. Equity Corps is the result of a year-long collaborative effort to research, design, and advocate for a universal representation program. A universal representation committee was convened in late 2017 by Oregon Ready, a statewide immigrants rights coalition, to build a novel model with the potential to eventually scale to serve Oregonians throughout the state. To access Equity Corps services, start by finding a Community Navigator near you. The Universal Representation Committee of Oregon Ready is comprised of representatives from Causa, Catholic Charities of Oregon’s Immigration Legal Services, Immigrant Defense Oregon of Metropolitan Public Defender, Immigration Counseling Service, Innovation Law Lab, Transformative Immigration Law Class at Lewis & Clark Law School, and Sponsors Organized to Assist Refugees of Ecumenical Ministries of Oregon. Stephen Manning, founder and executive director of the Innovation Law Lab, has been selected as a 2018 Child 10 awardee, in recognition of his groundbreaking legal work which has increased representation and improved outcomes for asylum-seeking families. Each year, the Child 10 Summit recognizes and convenes ten individuals from around the world whose innovative work has improved the lives of the most vulnerable children in our communities. The other U.S.-based recipients this year included Jonathan Jayes-Green of UndocuBlack Network, Jonathan Ryan of RAICES, Lenni Benson of the Safe Passage Project, and Nora Phillips of Al Otro Lado. November 9, 2018 – The Innovation Law Lab (Law Lab) is one of four immigrant rights organizations who are plaintiffs in a lawsuit challenging President Donald Trump’s proclamation rendering all immigrants who crossed the southern border without inspection ineligible for asylum. The Law Lab uses data, design, and legal strategies to support asylum seekers and provides technical and strategic support to pro bono and non-profit attorneys around the country, and operates several large-scale pro bono projects at many hostile jurisdictions throughout the country. Each year, tens of thousands of individuals rely on the Law Lab’s expertise and support systems. The new asylum rule will have an immediate and devastating effect on the asylum seekers served by the Law Lab, many of whom will be at risk of swift deportation back to the harm they are fleeing. Asylum law has deep international humanitarian roots. It is a life-saving form of legal protection for those escaping countries with governments that actively persecute their citizens or lack the power and authority to protect their citizens from persecution. In alignment with international principles, it has long been U.S. policy to allow anyone physically present in the country to seek asylum, regardless of their manner of entry. The Innovation Law Lab and fellow plaintiffs, East Bay Sanctuary Covenant (ESBC) in Berkeley, Al Otro Lado in San Diego, and Central American Resource Center (CARECEN) in Los Angeles, are represented by the American Civil Liberties Union (ACLU), the Southern Poverty Law Center (SPLC) and the Center for Constitutional Rights (CCR).